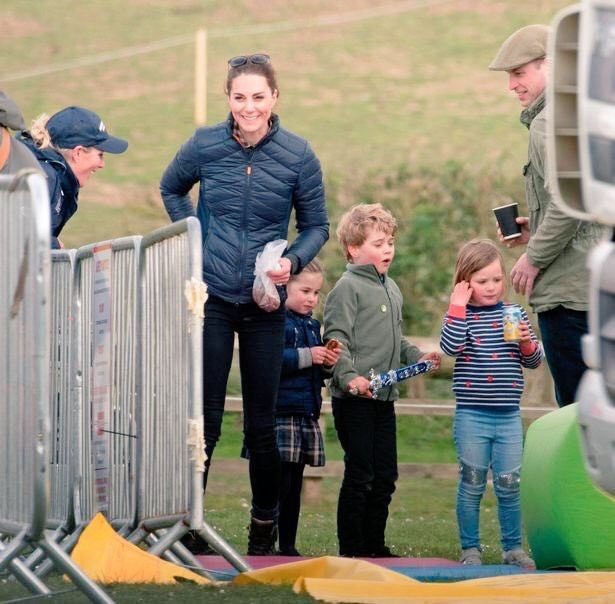 The Duke and Duchess of Cambridge showed off their down-to-earth and presumably normal family routine at the Burnham Market International Horse Trials in Norfolk. 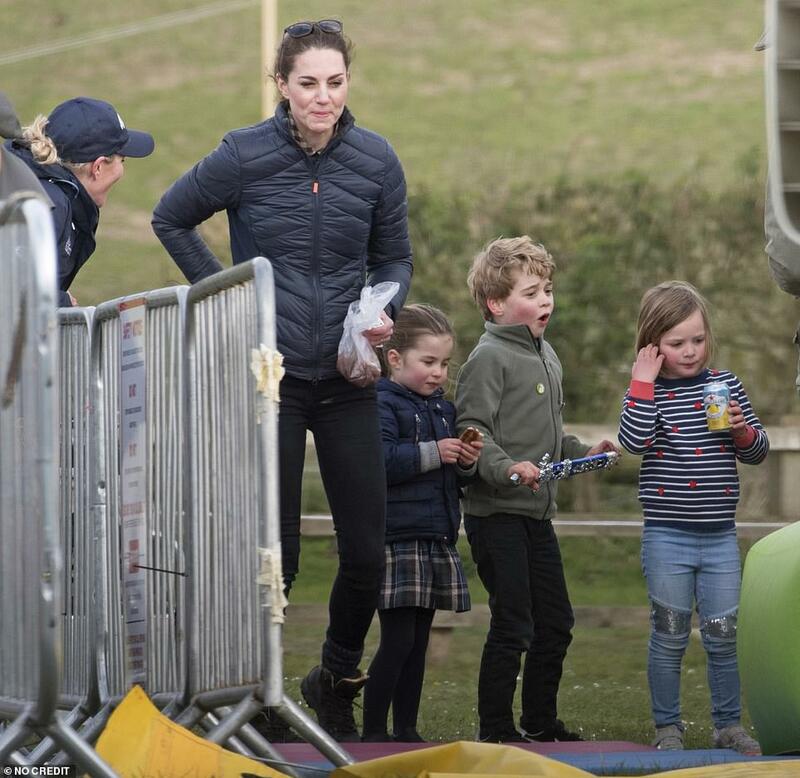 The Cambridge crew was joined by Mike and Zara Tindall who recently had their second child. 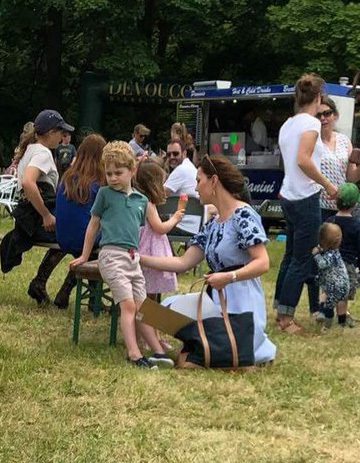 The Tindall’s oldest daughter Mia and Prince George (who around the same age) were seen playing and laughing together while Charlotte appeared to be enjoying cookies or another home baked treat from mom’s stash of goodies. 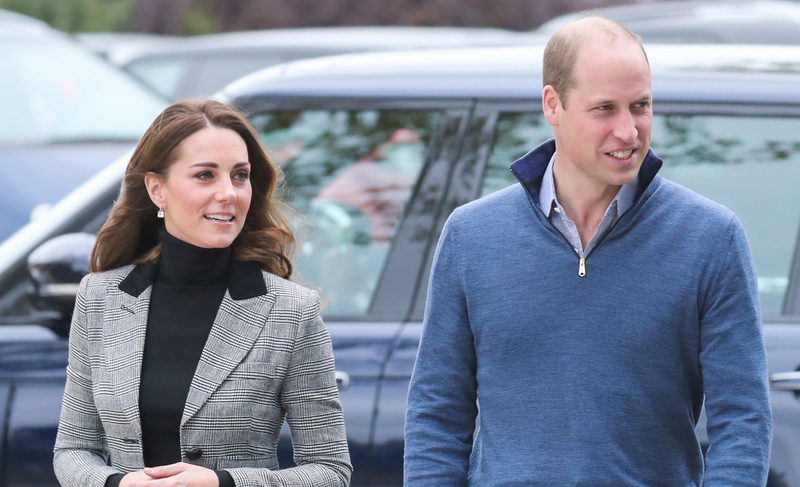 For this fun and casual family day, the group brought all the cuteness with Kate and Charlotte looking especially sweet while having a twinning moment as mother and daughter. 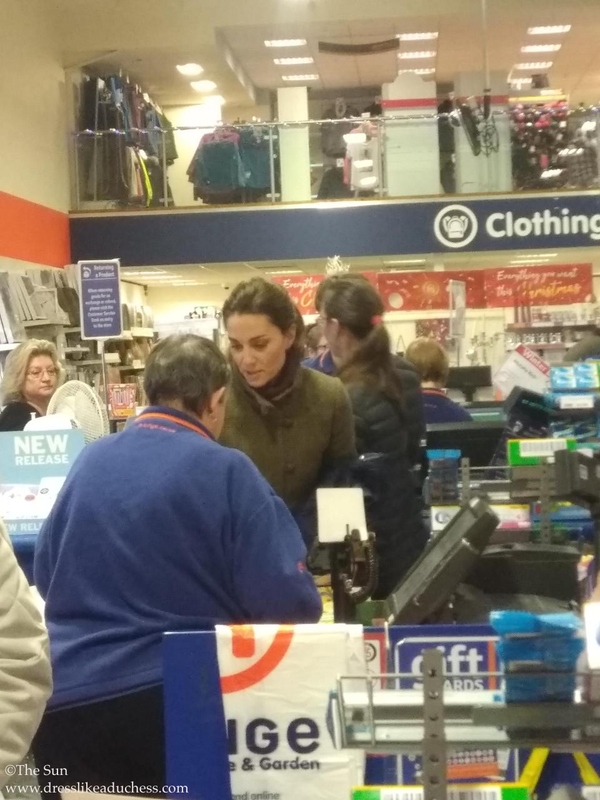 Besides Kate’s sapphire wedding ring, the rest of her look was decidedly low-key. 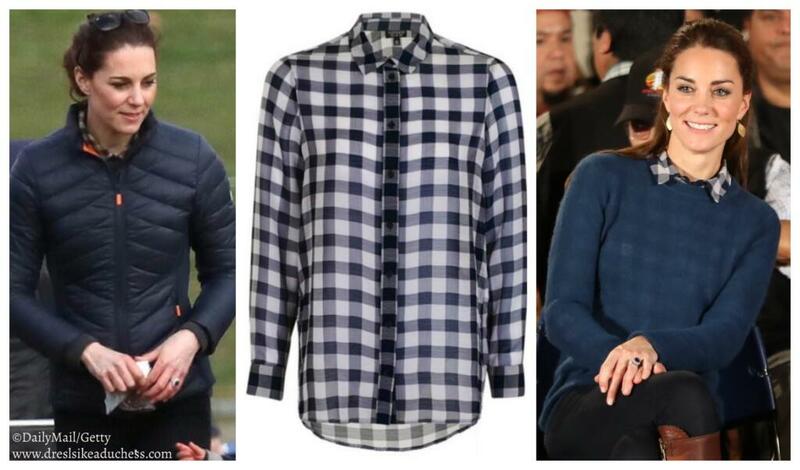 Kate opted for the same navy Barbour Longshore Quilted jacket she wore in Northern Ireland along with a Topshop plaid shirt and a Jigsaw London cashmere Katharine Cloud Jumper she wore from the Royal Tour Canada in 2016 (ID Twitter Gabi). 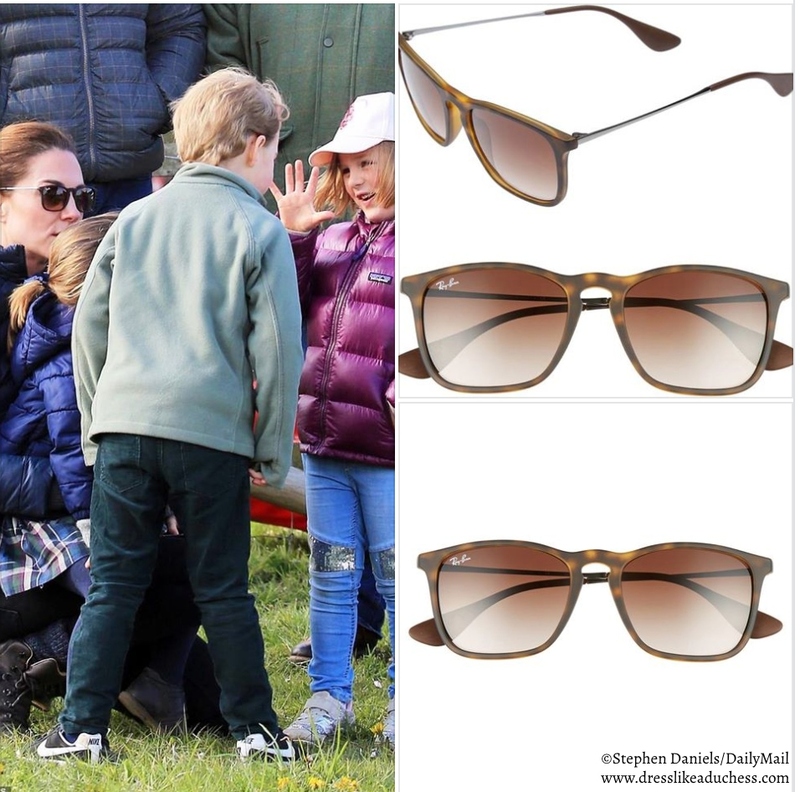 Kate also wore her Ray Ban Youngster sunglasses in Brown Rubber. 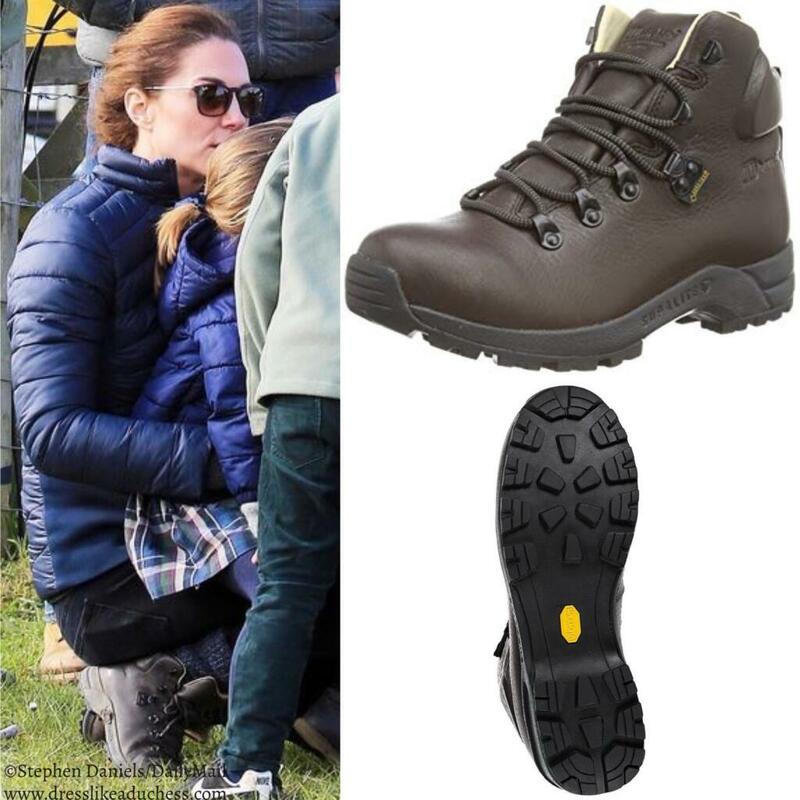 In addition, the duchess wore brown hiking boots called the Berghaus Supalite II Goretex Boots. 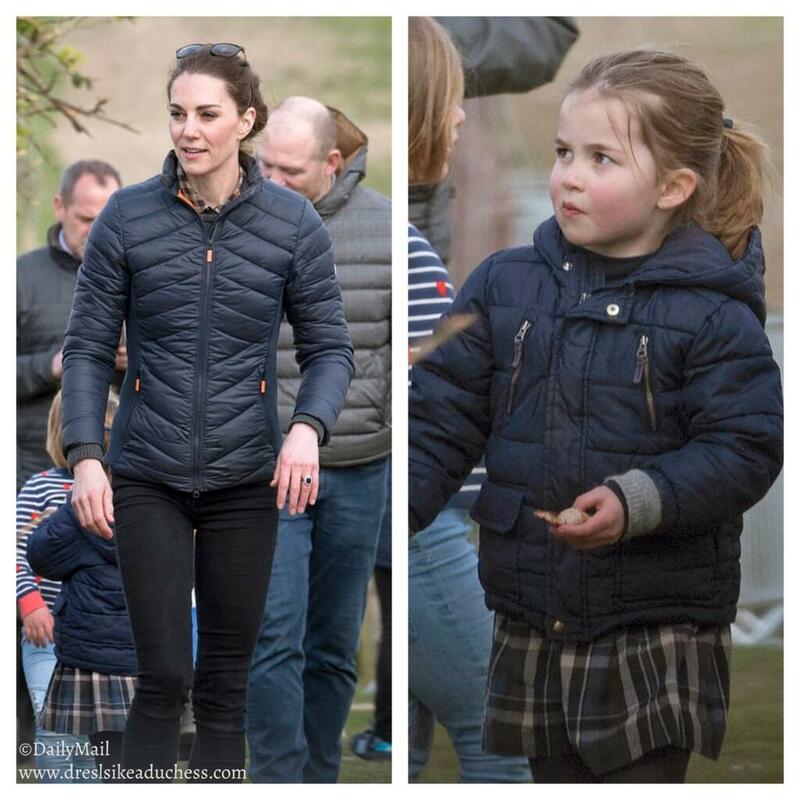 For the outing Prince George wore a Columbia jacket and Charlotte wore a skirt by Irulea (similar here). 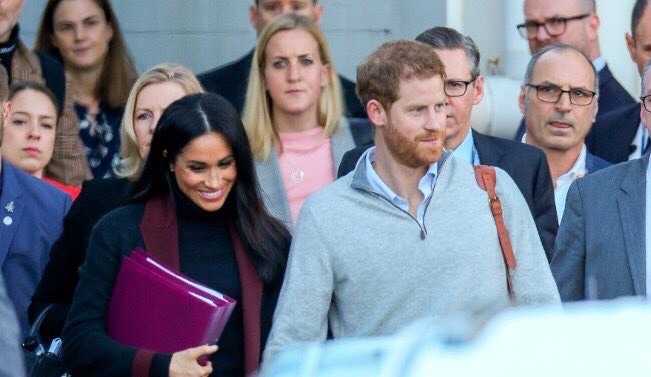 Thanks to Laura, Gabi and UFO No More.